Mahindra Alturas G4: What else can you buy? 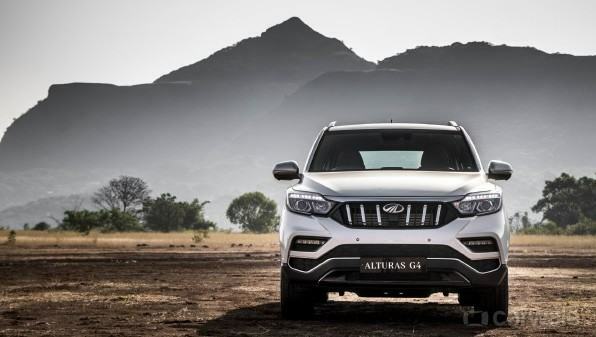 Mahindra’s all-new flagship SUV, the Alturas G4, has been launched at Rs 26.95 lakhs ex-showroom and it shares space with the big-fat SUVs of the Indian market. While you can find out its direct competitors in this story, the amount of money you would spend on a luxurious seven-seat SUV will fetch you a bunch of diverse options. The Alturas is being offered in two trims a fully loaded 4WD and a lower-spec 2WD with the former priced at Rs 29.95 lakhs ex-showroom. So here is a list of cars that you might consider while you look at spending Alturas G4 money. For about Rs 30 lakhs, you can either buy a full-size SUV or a full-size sedan. While the SUVs are macho, sedans have their own charm of comfort and luxury, especially when we speak about saloons like the Skoda Superb, the Volkswagen Passat and the Toyota Camry. Each of these sedans offer everything from panoramic sunroofs to automatic parking to reclining rear seats depending upon which one of them you choose. Also, for a little premium in terms of money, there are premium luxury brands like Mercedes-Benz, Audi and Volvo which offer sedans like the CLA, the A3 and the S60. While these sedans are certainly smaller than the saloons like Superb and Passat, the status associated with those brands is unmatched. Also available are the Mini Coopers and hatchbacks like the A-Class and the B-Class if you looking for a branded small car. In case you can throw in some more money into the pot, entry-level luxury SUVs like the Mercedes-Benz GLA and the Audi Q3 come in contention. That is if you are okay with soft-roaders because then, Skoda Kodiaq and the Volkswagen Tiguan offer value-for-money options. While, Toyota Fortuner, Ford Endeavour, Isuzu MU-X and Mitsubishi Pajero Sport are the direct rivals of the Alturas.